We’ve recently been organizing our paperwork in preparation for getting taxes done properly this year. 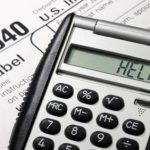 We’re looking for ways to legally reduce our tax bracket burden through tax deductions and tax credits, and I wanted to share some income tax adjustments you may or may not be aware of. I’m talking here about are deductions on your 1040 that you can claim whether or not you itemize. Tax adjustments can lower your adjusted gross income, which in turn can put you in a lower tax bracket, and might help you qualify for some other tax benefits. Distance test: You have to prove that you decrease your commute by at least 50 miles with your move. Time test: If you are an employee, you must work full-time for 39 weeks during the first 12 months following your move. You do not, however, have to work for the same company. When claiming your moving expenses, keep in mind that you can only include reasonable expenses, such as packing and shipping your household items to the new location, storage for the move, switching utilities, and gasoline for your cars during the drive. Meals are not included, nor are reimbursed expenses. There are some special tax breaks specifically geared for the self-employed. Did you know that you can deduct half of your self-employment taxes, and that there is no maximum you can deduct? This can be a significant amount, so be sure to take advantage. If you have a retirement plan such as a SEP-IRA, SIMPLE IRA, or Keogh Plan, you will have also gain some tax benefits when you make contributions, though each plan has specific rules. If you are looking for more information on these retirement plans, as well as other tax breaks for the self-employed, then be sure to check out IRS Publication 560. Being a college student can have some perks come tax time. You may be able to use some of the student loan interest you paid as an adjustment, and also reduce your taxable income. You don’t have to itemize your deductions to include this adjustment on your 1040. Be aware that you should receive a 1098-E form if you’ve paid more than $600 in student loan interest. The maximum you can deduct for student loan interest payments on your taxes is $2, 500. If you have a filing status of Single, Head of Household, or Qualifying Widow(er), you will see their deductions reduced if your modified adjusted gross income is more than $55, 000 with a complete phase out at $70, 000. Married (Filing Jointly) couples will see their deductions reduced if their modified adjusted gross income is more than $115, 000 with a complete phase out at $145, 000. Note: You can not take this adjustment if you’re married filing separately. For your student loan to qualify for this adjustment, you must have taken it out for educational expenses (tuition, room and board, and textbooks) for a qualified student at an accredited educational institution. Another way you can reduce your taxes is to make a deductible IRA contribution. We’ve previously talked about IRA contribution limits. In short, you can deduct a contribution of $5, 000 ($6, 000 if you’re 50 or over) to your traditional IRA, though this deduction is subject to income limits if your or your spouse is an active participant in an employer-sponsored retirement plan. Keep in mind that you can make this contribution up until you file your taxes, so there’s still time to make your 2009 contributions if you haven’t done so yet. If you paid alimony during the past year, you’ll can get a tax break. You need to have your ex-spouse’s social security number, and they need to report their alimony as income for you to claim this deduction. If you’re a teacher or educator, you can deduct up to $250 (per spouse if both are qualified educators) of qualified expenses on your 2009 tax return as an adjustment. Anything above that amount could be deductible but you’d need to put it on Schedule A. The tax code is a complex beast, and there are tons of other ways to reduce your tax burden. What are your biggest tax breaks in a typical year? Please share so we don’t miss out on any good ones. Tuition! There are multiple credits/deductions for this – you can pick the one that benefits you the most. You can also count student loans taken out as tuition paid, provided you meet certain criteria. I believe you can get up to either $2000 or $2500 from one of the tuition credits. Brent, I’m not quite sure, but Liberty tax offers free specific tax advice at any of their offices. I would suggest adding Individual Roth/Traditional 401ks under the self-employed category. They’re fairly new, but allow for the self-employed to contribute a total of ~$50,000 a year, up to $19,500 of which can be a Roth contribution. I don’t believe there’s any limit to combined IRA/401k contributions, so the self-employed could theoretically reduce their taxable income by ~$100,000 through a combined Individual 401k/SEP IRA approach. Vanguard and maybe some others offer Individual 401ks. Brent: Get the 1098-E form from your student loan lender. The name on that form is eligible for the deduction. My wife and I are paying on a student loan her father opened for her during her college years which is in his name (she had another loan in her name that is paid off). My question is if we are the ones paying the interest on the student loan he opened for her, can we deduct this interest in our 2009 returns? Retirement Savings Contributions Credit is my favorite.